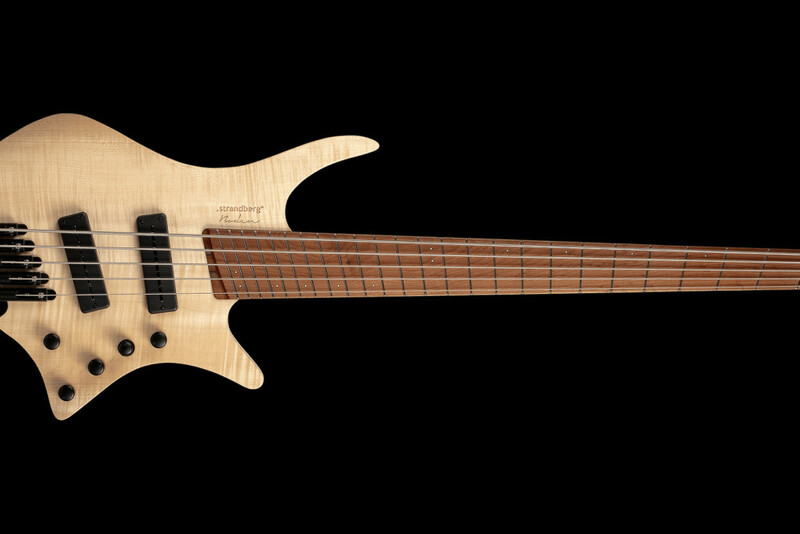 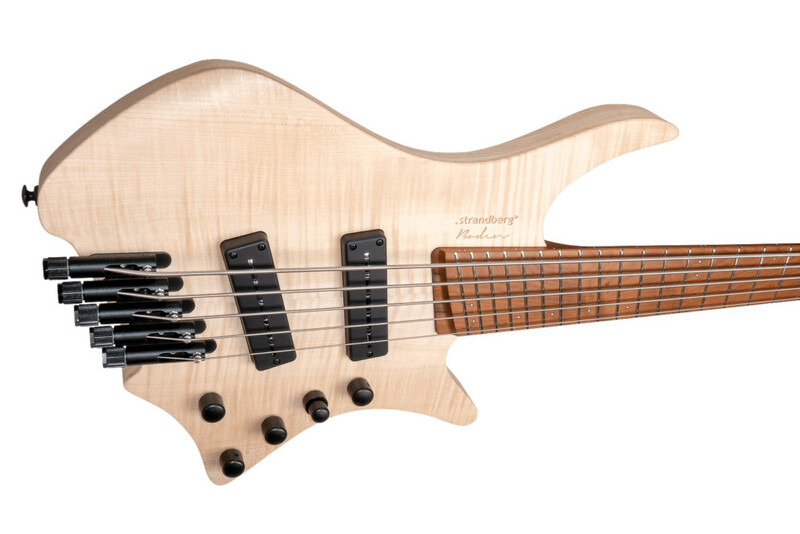 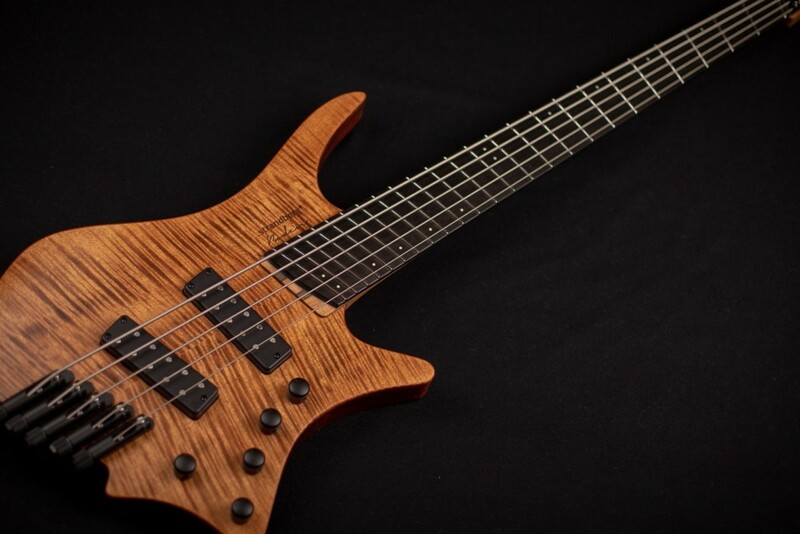 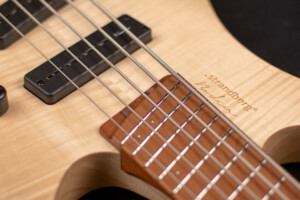 Strandberg was turning heads this year at the Winter NAMM Show as they unveiled the Boden bass. 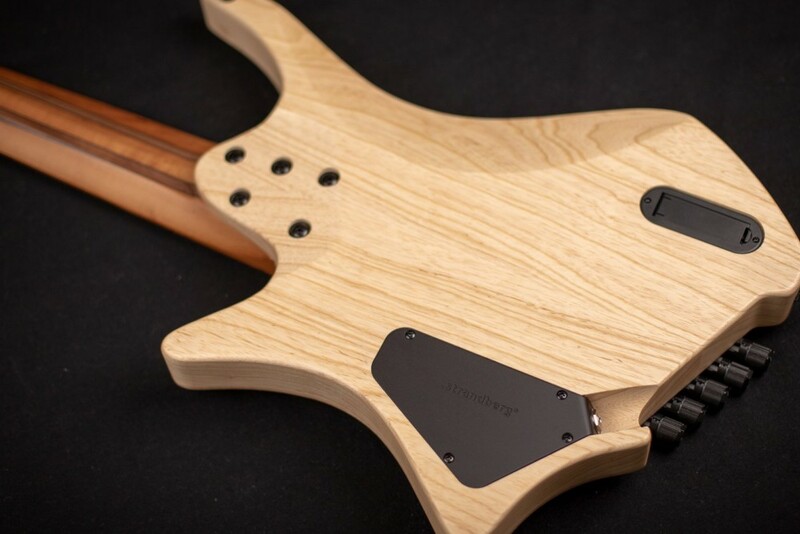 The instrument, which they say has been years in the making, is a headless design with an ergonomic body shape and multi-scale neck. 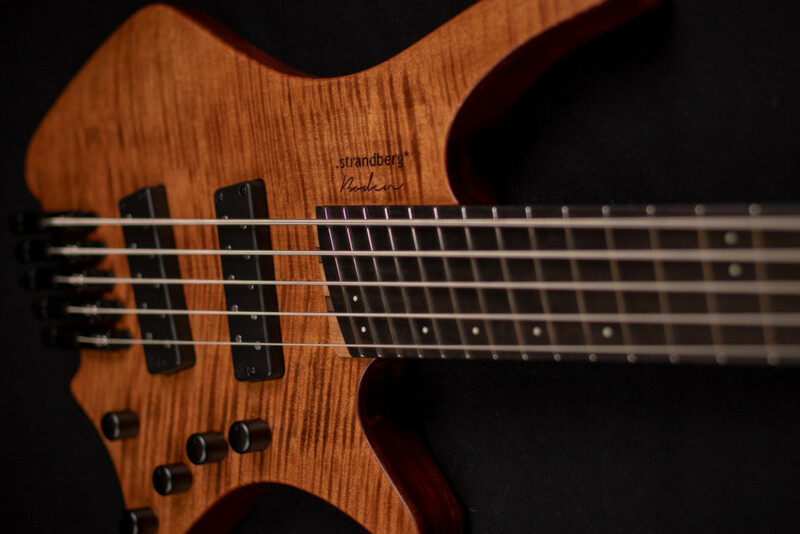 “More than a mere ‘bass version’ of the acclaimed Boden 6-, 7- and 8-string guitars that we are known for, the Boden Bass was developed from the ground up to meet the requirements of the most discriminating and demanding professional bass players,” Strandberg writes. The bass comes in four or five strings and in two versions: Original or Prog. 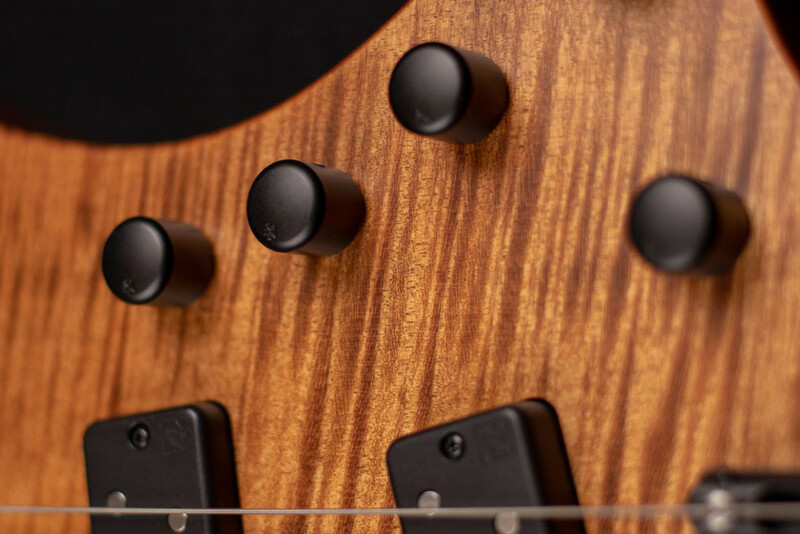 The Original models are built with a chambered swamp ash body topped with 4A solid flamed maple, a roasted maple and walnut neck that’s reinforced with 12-ply carbon fiber, and a roasted birdseye maple fingerboard. 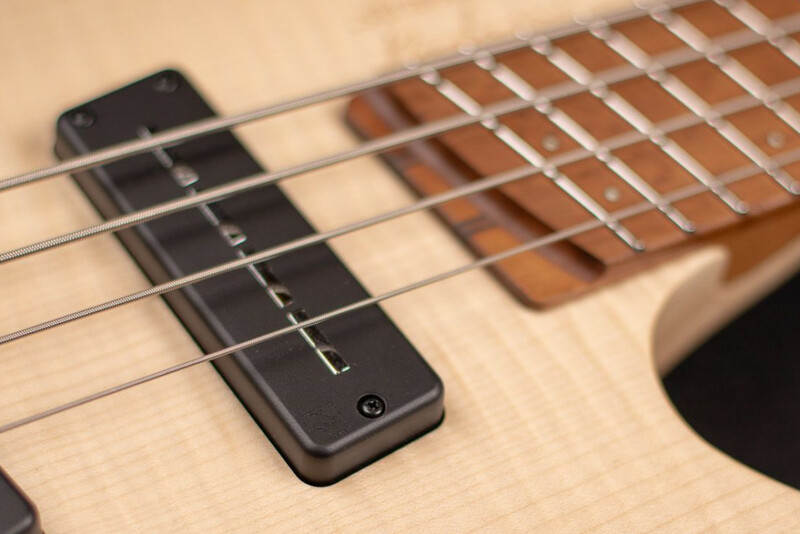 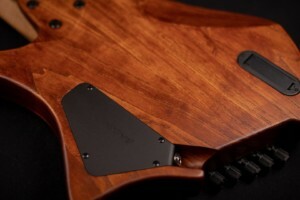 The fingerboard holds 24 stainless steel frets with offset dot inlay fret markers. 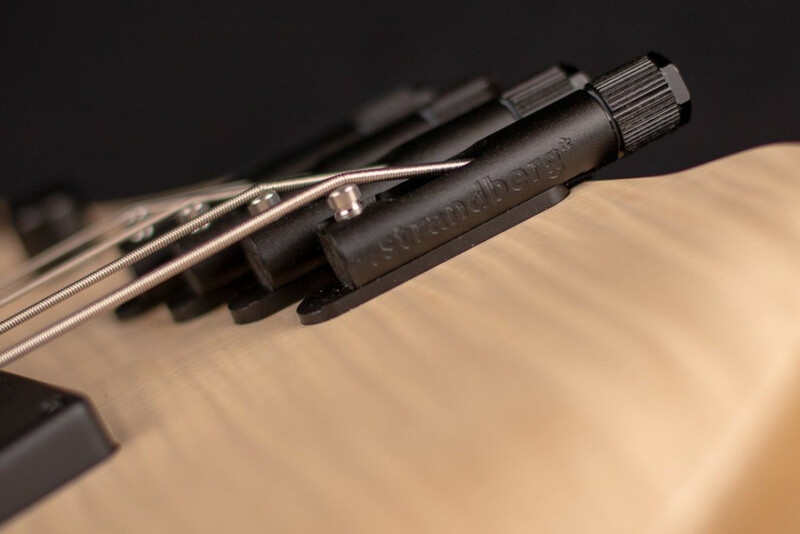 For electronics, Strandberg fits the Original Boden bass with Nordstrand Zen Blade Hum Cancelling single coil pickups and a corresponding Nordstrand 3-band preamp. The Prog has the same body, top, and neck woods as the Original, but swaps in an ebony fretboard in place of the birdseye. It also has a different set of electronics with a pair of Nordstrand Big Rig humbuckers with a Darkglass ToneCapsule preamp. Where the original comes in a natural finish, the Prog has a rich Trans Brown Stain. 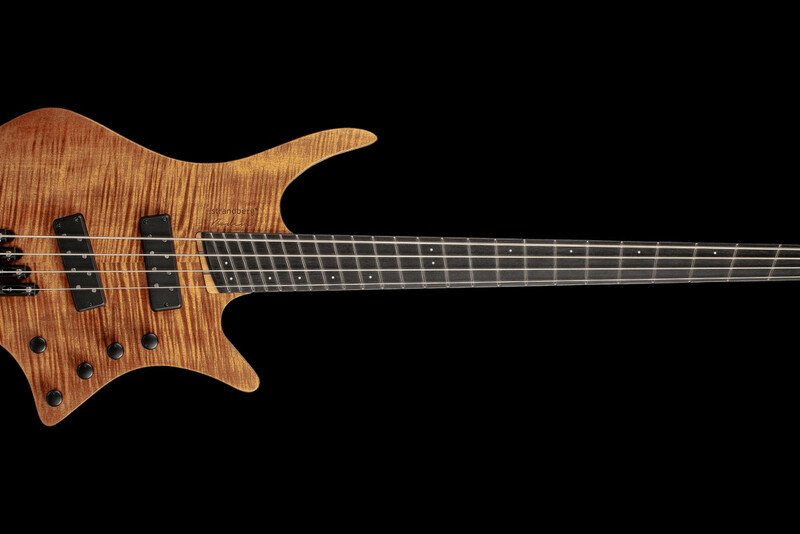 The Strandberg Boden Basses are available for pre-order and are slated to ship later this month. They are available with prices ranging from $2,995 to $3,195. 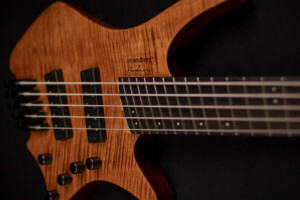 Strandberg is probably going to sell more instruments because Rokka-chan from “Raise A Suilen” plays a Strandberg guitar than they are because of the playing of either of these guys.